Rhubarb in the foreground. Rosemary in the background. And between them potatoes recently planted. Yikes! The last time the Grumpy Vegan reported on the allotment he shares with one other with was July 2009! How time flies! Work resumed on the allotment nearly two months ago. Great progress is being made. Even though Gina and Kate, two of our wonderful neighbours, have helped in previous years, they’re commit to toil in the fields is stronger this year. This is probably why we’re doing so well so far into the season! The allotment is situated toward the end of the valley in which sits Hastings Old Town. It is situated on the side of a hill with great views over the Old Town and toward the sea. That’s the good news. The bad news is that it is exposed to wind which, when it comes off the sea in winter and throughout much of the year, is very cold. This damages the plants. Further, the soil needs to be constantly amended as it is very heavy in clay. Even more moaning to do about how the allotment is situated is that there’s no direct road access. This means that everything–and I mean everything–has to be carried or wheeled down from a nearby road to the allotment. And because we’re on the side of a hill, the ground not only slopes but the surface is not smooth as there are many little tuffets to trip over! Moan. Mooooaaan. MOAN! 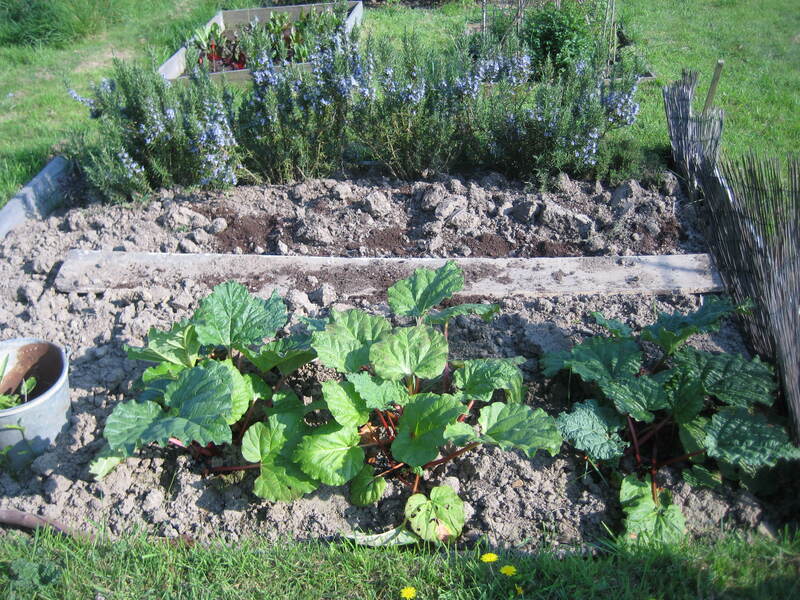 Anyway, all this and much more has led us to tend toward growing vegetables which are perennial and constant croppers (e.g., rhubarb, globe artichokes), herbs (e.g., lavender, rosemary) and plant fruit bushes and trees (e.g., apple, pear, gooseberry). Last year’s crop wasn’t so good, which is maybe why it didn’t get written about much, except for the strawberries. They were exceptional! Did I say how good the strawberries were last year? So, recently, the Grumpy Vegan has been putting his back into it and carved out from the side of a hill an expanded patch for strawberries to grow in. This will surely mean this year’s crop of strawberries will be crap. Let’s wait and see, shall we?